The International Code of Nomenclature for algae, fungi, and plants (ICN) is the set of rules and recommendations dealing with the formal botanical names that are given to plants, fungi and a few other groups of organisms, all those "traditionally treated as algae, fungi, or plants". It was formerly called the International Code of Botanical Nomenclature (ICBN); the name was changed at the International Botanical Congress in Melbourne in July 2011 as part of the Melbourne Code which replaced the Vienna Code of 2005. In botanical nomenclature, a form is one of the "secondary" taxonomic ranks, below that of variety, which in turn is below that of species; it is an infraspecific taxon. 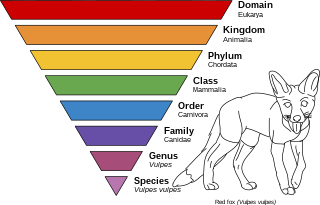 If more than three ranks are listed in describing a taxon, the "classification" is being specified, but only three parts make up the "name" of the taxon: a genus name, a specific epithet, and an infraspecific epithet. In taxonomy, an undescribed taxon is a taxon that has been discovered, but not yet formally described and named. The various Nomenclature Codes specify the requirements for a new taxon to be validly described and named. Until such a description has been published, the taxon has no formal or official name, although a temporary, informal name is often used. A published scientific name may not fulfil the requirements of the Codes for various reasons. For example, if the taxon was not adequately described, its name is called a nomen nudum. 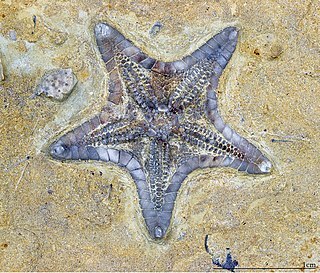 It is possible for a taxon to be "undescribed" for an extensive period of time, even if unofficial descriptions are published.